An optical illusion on a metal wall decoration ! Enhance your walls with this modern metal deco. The dimensions of this metal decoration are 30 X 50 cm. The delivery is free in metropolitan France and Belgium for this modern wall decoration. 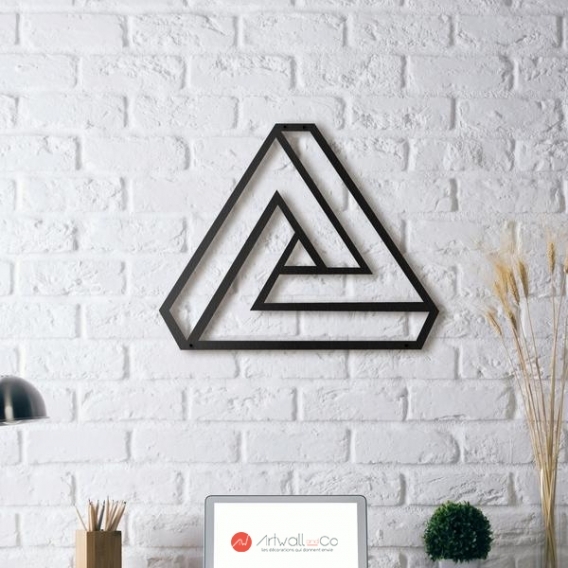 Give your interior decoration a touch of magic with this endless triangle on a metal wall sculpture. 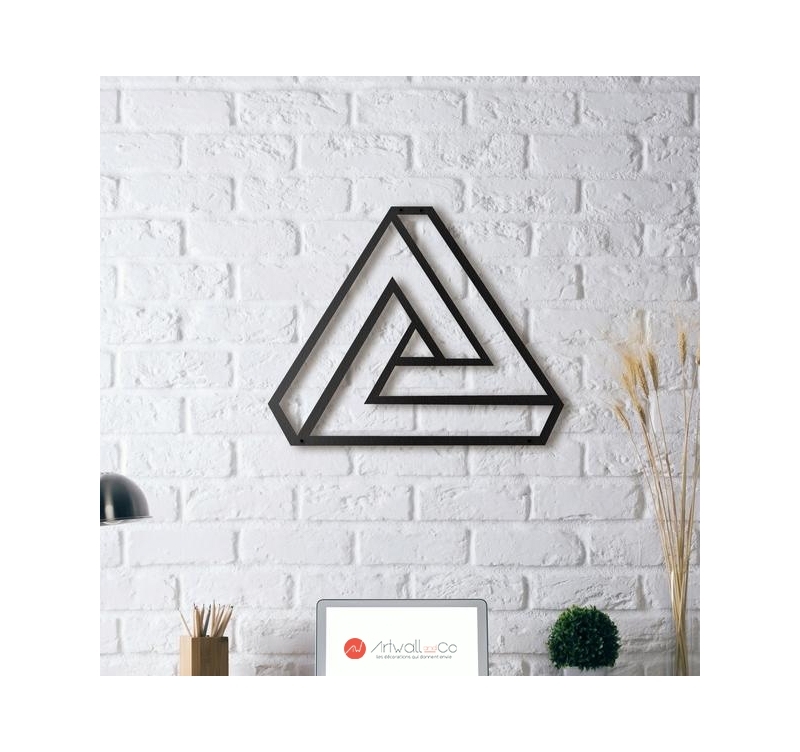 A perfect optical illusion mixed with a contemporary touch can be found in this metal design wall deco to impress your guests and give style to your room ! For a design decoration, this metal deco will easily match with an art canvas or a photo canvas. Hanging up this contemporary metal deco is very easy wherever you want in your interior. All our metal wall decorations are hand made, treated with a black finish for a long lasting quality.